Azonix is a modern sans-serif typeface. This typeface consists of bold geometric upper case letters, numbers and punctuation (symbols). 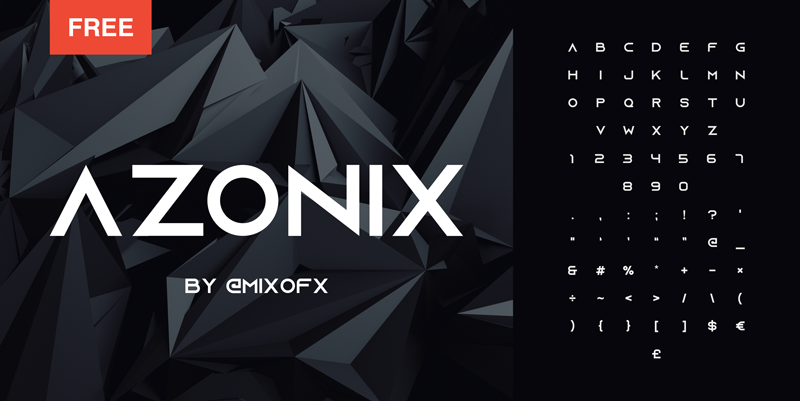 I will be making more fonts in the future so feel free to follow me on twitter @MixoFX so you don't miss out. Enjoy the free font! This font is free for both personal & commercial use​​​​​​​.